We all know a typical fashion blogger, fashion vlogger, fashion Instagrammer. Some of us will know several. And if you don’t know one, chances are you will know of one (I will clarify, I am a fashion blogger but an atypical one). They are sitting in the front row of fashion shows. They are taking outfit selfies at boutique stores. They’re the ones that populate our Instagram feed with countless images of themselves in whatever outfit they carefully selected to wear that day. Their “fashion haul” videos are unavoidable on YouTube and images of them litter our Pinterest boards and style magazines. And they’re showing off their latest buys, on other forms of social media, often sponsored and gifted by a brand. They may be immaculately dressed, wearing something kitsch, or look like they’ve all shopped at the same store (evidenced by the cloned outfits). Add to all of this a Fashion Bloggers TV show and you can see how commercial fashion blogging has become. It won’t make you truly happy. Think that overpriced polyester off-the-shoulder dress you saw at a boutique store is going to make you happy? Or believe the top in Kim Kardashian’s collection is going to change your life? Think again. While positive feelings do occur when we buy something (the “shopping high”), the good feelings we associate with shopping don’t last because it isn’t true happiness. This is what psychologists call hedonic adaptation, no matter how euphoric some thing makes us feel, we drift back to our baseline level of existing. The famous study of lottery winners who were no happier than non-winners 18 months later proves the theory that shopping won’t make you happier in the long term. There’s more to buying stuff, wearing stuff, looking like hot stuff, taking photos of stuff. And it’s more dangerous than we realise. While it’s easy to pine for a fashion bloggers’ lifestyle when they’re looking fabulous in the latest trendy stilettos or clutching the must-have bag, in reality, it’s all smoke and mirrors. What you see on social media isn’t really how it is. Essena O’Neill changed the caption of this Instagram photo after her social media enlightenment. An Instagram photo posted by Kayla Itsines in response to Essena O’Neill’s announcement that social media isn’t real life. It leaves you in debt. While bloggers with 6 million followers or more are making $20,000 to $100,000 per Instagram post as reported by Harper’s Bazaar there are hundreds and thousands of fashion bloggers barely earning any money at all. In fact, to keep up appearances, they are spending money they don’t have, on stuff they don’t need to put into already overstuffed closets. If you track a fashion blogger for a week, you rarely see them in the same outfit or wearing the same articles of clothing. A ridiculous fashion faux-pas that encourages people to shop out of fear of being seen in the same thing, and getting themselves into messy financial situations in order to do so. A lot of fashion bloggers liken themselves to Carrie Bradshaw and forget that she’s a fictional character. No writer who writes a weekly column and does the occasional freelance article can afford the wardrobe she has. I know this because I’m a writer who writes a hell of a lot more articles and even I can’t afford $400 Manolos each week. And from my memory she had no money to buy her apartment after splitting up with Aiden, had barely any savings and realised it had all been wasted on shoe shopping, $40,000 in fact. At her age, that’s just sad. Fashion bloggers shop like it’s a sport; they compete, vying for the title of best dressed. All of this occurs with very little thought to the earth’s resources and the many human hands it took to create the garment or accessory they’ve purchased. That fashion is the second most polluting industry after “Big Oil” is a fact lost on many bloggers. And if they know about it, their continued buying habits prove they couldn’t care less. Now from a financial perspective, this “hobby” (fashion blogging is a hobby for most, unless they are professional bloggers commanding the kinds of dollars I pointed out in my last point) is unsustainable too. 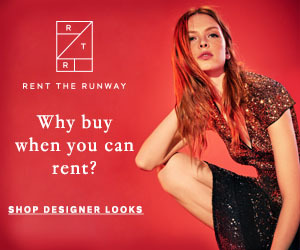 To shop the way that fashion bloggers shop, one would be in high credit card debt unless you’re a “trust fund” fashion blogger (a blogger whose parents enable the lifestyle). In fact, the average American household has $15,355 worth of credit card debt. Ouch! I am pretty particular with who I follow on social media. When people follow me that I don’t know, I usually take a look at how they portray themselves before I make a judgment call to follow back. The annoying blogger code of “follow 4 a follow” is not something I subscribe to as I prefer to use my limited recreational time on building deep relationships with people and brands I truly care about. So checking out an individual who recently began following me on social media is how I ended up on an “eco” vloggers YouTube and Instagram accounts, and quite frankly was appalled with what I saw. There were so many product reviews and photos of products, that I could smell the conflict of interest a mile away. Her recommendations were corrupted by the gifts, the money, the follows, the status. It took all my strength not to point out the irony of being an eco-conscious person whilst promoting consumption (pat on the back please, that was hard to do!). This eco blogger dishes out so many recommendations to buy natural products that I can’t take her seriously – how honest can you be if you love all the beauty products sent your way? You’re either giving false reviews or you have no idea how to conduct proper reviews. Either way, it’s disappointing. Now while I don’t think there is anything inherently wrong with receiving sponsorship from brands whose products you are fanatical about (if I did, that would make me hypocritical as Eco Warrior Princess does accept sponsored posts from ethical brands that meet high standards), there comes a point when enough is enough, and especially when you’re coming from an inauthentic place. The commercialisation of blogging and social media brings into question what was once an innocent means of style expression. Behind the trendy outfits, poses and pouty expression, there is the toxic attitude towards shopping and consumption, fuelled mostly by status-seeking egos. When it comes to following fashion bloggers, there are three rules you should follow: sustainable style, authenticity and ethics. We want to know: Do you follow any fashion bloggers? Why do you follow them? Are there any fashion bloggers that you used to follow that you don’t anymore, and why? Would love to hear from you so please leave a comment.